As Seen on WCCO : What goes into a home appraisal? The housing market is hot right now. Homes are sold almost as soon as they go up for sale. And in many cases, sellers receive multiple offers. But a lot of those sales rest on finding out what a house is worth. So, what goes into a home appraisal? “They’re having multiple offers and it’s not unusual to have a sale 5- to 10-percent above the asking price,” said Al Kline, CEO of The Appraisal Group in Maple Grove. Kline has been determining the value of residential homes — in good markets and bad — for more than 30 years. 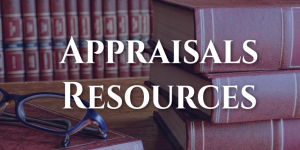 “We have nothing to gain or to lose, and that’s the basis of being an appraiser,” Kline said.He says appraisers should be unbiased, and years of watching market values goes a long way. Kline looks at homes that have been sold in the neighborhood, and homes currently up for sale. But there are other factors, too. “It’s not just looking at market sales. It’s looking at, ‘OK, how long have they owned this property? What did they buy it for previously? And what kind of enhancements have they made to it?’” Kline said. “They all play a role.” There are other sources for finding the value of a home. Real estate agents can give an opinion, as can automated websites like MLS, Zillow or CoreLogic. Kline says they are all factors that can be the key to the home you have been looking for. “The appraiser has to have that intuition, that ability to make a final decision on what the property is worth,” he said. Kline says some lesser-known automated websites can be off by 10 percent or more when determining the value of a home. But experts say they can be a good starting point for your home search. This entry was posted	on Friday, June 9th, 2017 at 2:44 pm	and is filed under Resources. You can follow any responses to this entry through the RSS 2.0 feed. You can leave a response, or trackback from your own site. "The Appraisial Group provides us with great service and prompt, professional results. The reports we receive are of the highest quality in the industry. 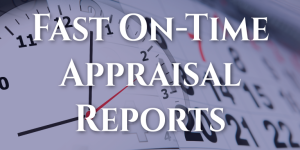 We highly recommend The Appraisal Group for both residential and commercial appraisals." 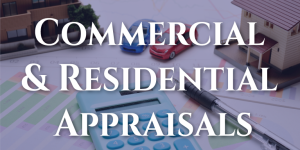 What’s in a Commercial Appraisal Fee?